“We are replicating the face-to-face primary care visit, just doing it remotely,” says Dedi Gilad, who founded the Israel-based company Tyto Care Ltd. after making frequent trips to the pediatrician when his daughter was in kindergarten in 2012. Tyto is awaiting clearance from the Food and Drug Administration. The company expects to introduce the device in the U.S. and Israel later this year, offering it first through health systems and insurers. Roy Schoenberg, chief executive officer of American Well, which creates the telemedicine platforms offered by many large health systems, says any provider using its systems will be able to connect with Tyto. The device will be available directly to consumers sometime next year, for about $299, Tyto Care says. 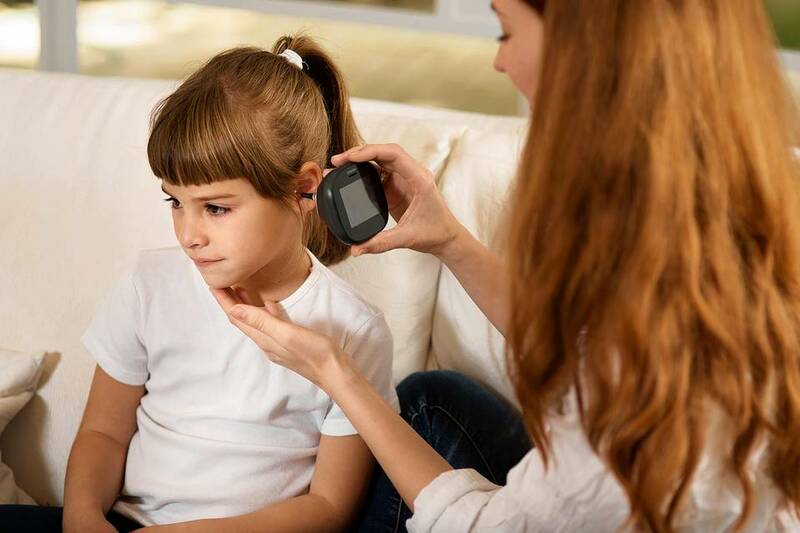 MedWand, another remote diagnostic tool, looks like a fat electric toothbrush and performs many of the same functions as Tyto, but also checks blood pressure, blood glucose and blood oxygen levels and lets doctors conduct eye exams remotely. Its creator, M. Samir Qamar, is the CEO of MedLion, a network of direct primary-care practices in 25 states. Those practices charge patients a flat monthly fee and deliver much of their care via telemedicine, but Dr. Qamar says he found it was stuck in the “video-chat stage.” MedWand, which will sell for $250, will allow doctors to provide more and better care remotely, he says. Like the Tyto, MedWand will also be available first through telemedicine companies and health-care systems. “It’s just a paperweight unless there’s a bona fide, high-quality medical service provider on the other end,” Dr. Qamar says. Still another device, called the Scanadu Scout, can measure temperature, heart rate, blood pressure and blood oxygen level when held to the user’s forehead. The manufacturer, Scanadu of Sunnyvale, Calif., is testing it with about 7,000 consumers world-wide, but has yet to receive FDA clearance. Consumers have been able to buy stethoscopes, otoscopes and other medical devices for decades, but using them correctly and getting the information to doctors can be difficult. 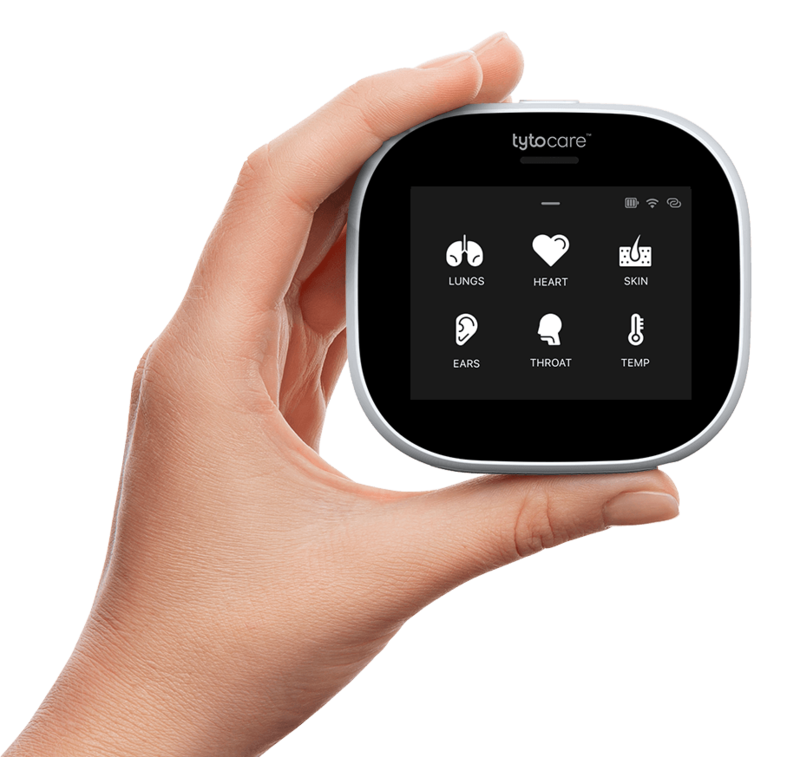 Telemedicine proponents say the new wave of home diagnostic devices could well provide the “missing link” in telemedicine, reassuring both doctors and patients that a virtual visit can still be thorough. While some 70% of large U.S. employers offer telemedicine visits as a benefit this year, only about 3% of eligible employees have taken advantage of them so far, according to a new survey by the National Business Group on Health. “Devices like Tyto are going to dramatically increase the value of telehealth and the type of service that can be delivered over these channels,” American Well’s Dr. Schoenberg says. To be sure, clinicians still can’t draw blood or swab a throat for strep remotely—but other home tests are coming. Scanadu is also developing disposable urine-analysis tests, much like home pregnancy tests, to let consumers test for urinary-tract infections, excess protein and other medical problems. A smartphone app analyzes color changes on the test paddles and can report the results on the spot. “We are getting a lot of attention from telemedicine companies,” says Alexander Cristoff, the company’s vice president of marketing.